Your HVAC unit is responsible for delivering optimum comfort year-round. When your home's HVAC unit is not providing the convenience and comfort you're after, just reach out to us. Established in 2006, Modernize has been helping homeowners like you for over 10 years. 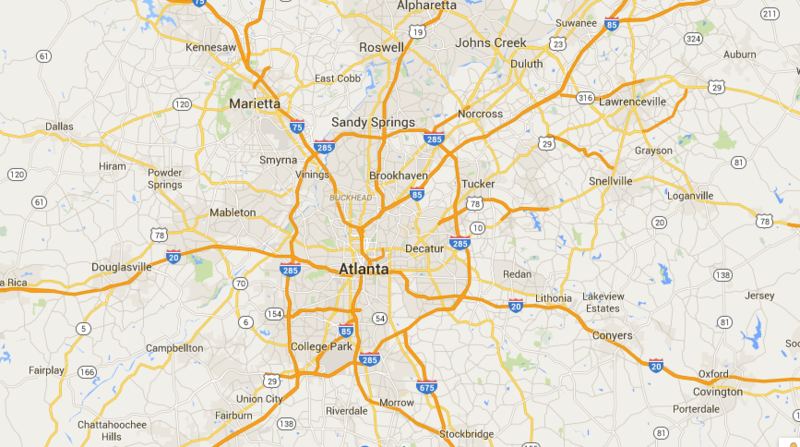 Let us help you find HVAC in Atlanta, GA. We are known for helping homeowners find the best local costs for HVAC and air conditioner services in their area. It is always smart to compare at least four different price quotes from contractors to make sure you are getting the best local prices on installation services. Find the most reliable HVAC installation contractors in your area today! Get free quotes from the best hvac repair contractors in Atlanta, GA, ready to complete your project. The following HVAC buying guide is designed to provide Atlanta, Georgia residents and business owners, who are considering replacing or installing a new HVAC system, valuable information to help get their project started off in the right direction. Many considerations must be made during an HVAC installation. The information listed below will address some of the most important decisions required in the HVAC installation process. Replacing or installing an HVAC system in Atlanta, Georgia requires a permit and licensed HVAC contractor. Many contractors claim to have the necessary licenses and insurance coverage required by the state but it is up to you to verify them. Before entering into an agreement with a contractor, you should first verify their license. Atlanta, Georgia residents can do this online by visiting the Georgia Contractor Licenses Directory online or by clicking here. In addition to a state issued license, Georgia HVAC contractors must carry general liability and worker’s compensation insurance. Ask potential contractors for a copy of both proofs of insurance and follow up by calling the issuing company to verify their insurance is active and up to date. You should also visit the BBB “Better Business Bureau” or the Georgia Consumer Affairs Department to search for pending lawsuits or recent customer complaints. Since you cannot purchase or for that matter install your HVAC system yourself, you must hire an HVAC contractor. This step is the most crucial aspect of your HVAC home improvement or new construction project. Your contractor will not only be responsible for load calculations, sizing, permitting, and recommending a type of HVAC system, but also control the quality of the entire installation. It is to your benefit to take your time, interview, and receive estimates and validate the experience, knowledge and credentials of each contractor. In the end, you should choose an HVAC contractor who exhibits the qualities, experience mentioned above, and one you feel comfortable working with. Building codes and permits are an important facet of HVAC installation. These important standards are in place to not only protect you and your family’s welfare, but also to ensure your HVAC system is installed correctly, within the guidelines set forth by the building code of the state of Georgia. To obtain a building permit in the City of Atlanta, you can apply in person Monday through Friday between the hours of 8:15 A.M. and 5:00 P.M. at Atlanta City Hall, 55 Trinity Avenue, 3rd Floor, Atlanta, Georgia 30303, Suite 3800. Alternatively, by phone at (404) 865-8550 or email at permitsissuance-oob@atlantaga.gov. You can also visit their website where you will find a wealth of valuable information by clicking here. Property owners and contractors can also apply for a building permit online by clicking here. Atlanta, Georgia receives approximately 54 inches of rain and 217 days of sunshine per year. On average, the number of days with measurable precipitation is 107. The average high in July is 89 degrees with an average low 34 in January. Your HVAC contractor will use this specific climate information from your region to calculate the size and type of your new system. In addition, the amount of shade, number of windows, the home’s ability to contain conditioned air, and its direction will carry significance when selecting the right HVAC system for your home. HVAC systems and their components are not standard, shelf-top items. You must purchase your system from either a private HVAC contractor, air conditioning and heating company, HVAC supplier — license required — or a big, box retailer such as Lowe’s or Home Depot. If brand is important to you, verify with your installer and get it in writing which brand they intend to use. Many contractors and HVAC companies have agreements with manufacturers to promote their products. While most can obtain the brand of HVAC system you desire, they usually recommend a brand from a manufacturer or supplier with whom they have an agreement. Replacing or installing a new HVAC system in your property carries a hefty price tag for some. Most systems average from a low end of $2,500 up to $8,000 dollars or more. The specifics of your property, the type of system you choose, its efficiency rating, and the labor to install it will dictate the price you will pay. Aside from paying outright for the system with cash, other options are available such as home equity lines of credit, using a credit card and special financing packages from the contractor, company, or retailer. Ask your HVAC contractor about special promotions that may be available. You can defray the costs of a new HVAC system by taking advantage of special rebates and tax incentive programs available in your area. Visit the Database of State Incentives for Renewables & Efficiency “DSIRE” or Massave to view a comprehensive list of rebate and incentive programs in your state or visit energy.gov to learn about valuable government rebates and/or tax credits. Purchasing and installing a new HVAC system requires careful considerations and is a substantial investment for most property owners. Do your homework before signing any agreement and never shy from asking questions.